Founded in the late 19th century to house the donations of Edmond De Prater, the museum’s collections quickly grew thanks to a lot of similar donations. It has one of the best collections of Belgian art from the 17th and 21st centuries in the world - paintings, sculpture, and drawings. The cover many art movements such as impressionist, neo-impressionist, fauvism, expressionism, surrealism, contemporary and symbolist. With over 10000 items, this is practically a history museum for the Belgian arts. There is also a terrific collection of posters, including the entire lithographic works by Toulouse-Lautrec. Check museum website for upcoming special exhibitions. Free for unemployed and under 18s. Get the audioguide at the bookshop for EUR 3. May be closed during removal and installation of art. Buses 38, 60 stop Malibran. Buses 54, 71, N09, N10 stop Fernand Cocq. Tram 81, Bus 89 stop Levure. How popular is Museum Of Ixelles? 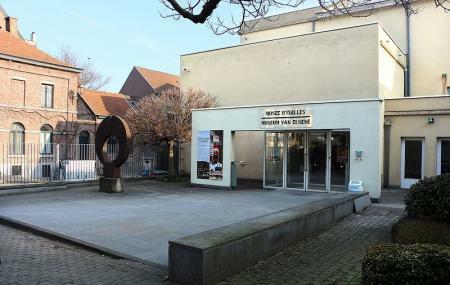 People normally club together Manneken Pis and Musees Royaux D'art Et D'histoire while planning their visit to Museum Of Ixelles. Great small museum, exhibition space. Enjoyed lots the Doisneau exhibition, last week anf still on. It'll be even better after renovations, starting in April 2018. This means it will be closed a few months, but worth the wait I think. Unfortunately closed for renovation but very nice, small museum. Well worth a vist. I enjoyed this museum very much - the permanent exhibition (some impressionism, some art nouveau...) but also the temporary one which was on photo realism - something I would say I don't like but when I saw those masterpieces I changed my mind completely! Would love to visit again if there's something interesting.